This post was translated with Google translate. It's been over a year since my last blog post, time flies and we do not even notice! During this time a lot has changed in my life, including the fact that I left my old job early this year in 2017 to focus on full-time game development. If on the one hand I had the money to invest in the production of games I had no time, a job consumes a good part of his day, not to mention that when I got home I was already tired of so much programming during the day. Now the situation has reversed, I have no more money as before but I have plenty of time. But why are you using Unity? People are always asking me this, so I think it's the best way to start talking about the project. I will present some points that weighed in the decision to choose the engine. Less general learning curve (Unity is incredibly easy to learn, and given the knowledge I've gained, it's easier to work with Unity). Buying resources, right here I could write for hours .. Much of what is done in Smoking Snakes uses resources bought in the Asset store, it would be insane for me to want to program, model / texturise everything that is done in the game, the project would become commercially unfeasible and the game would only be ready in 10 years hahaha . The market places of the Unreal Engine and Cryengine are still crawling, there is not much there that will advance my work so this was another point that weighed on the choice. Unity does not have some basic tools and functionality that you find easily in other graphics engines, which forces you to develop certain things (or buy from the Asset Store), so the games made in Unity are usually unique and different, as developers needed Working on certain aspects that would not work in another engine, for example lighting, most games made with Unreal Engine 4 are similar and have the same standard lighting. A lot of people liked it, just as a lot of people criticized it heavily. I understand the criticism, in the video above the game is without global lighting and that makes all the difference, so soon after I uploaded a video with a small demonstration of this global illumination. 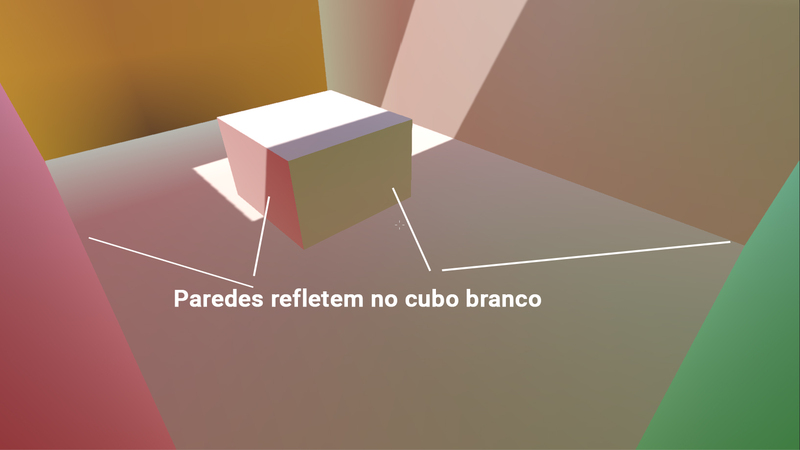 Global illumination is nothing more than the indirect illumination that objects reflect in each other. Do you know that strong sun that when it hits some object of strong color it reflects on the whole environment? That is exactly it, the image below exemplifies better. For now that's it, I'll save subject for future posts, where I'll bring more technical issues involved in the production of Smoking Snakes. I hope you have enjoyed it and I promise to post more often!